It's world class. With my '68 P? Fuggedaboudit. It literally sounds like Donny Hathaway live. It's killing! My engineer loves it. He was very impressed. We realized it even makes the amp sound better! This is the first DI I’ve played through that gives me the confidence to eliminate an amp and cab on stage. Goodbye phase issues, hello TONE! Bass guitar sounds best through tubes, especially when running direct! 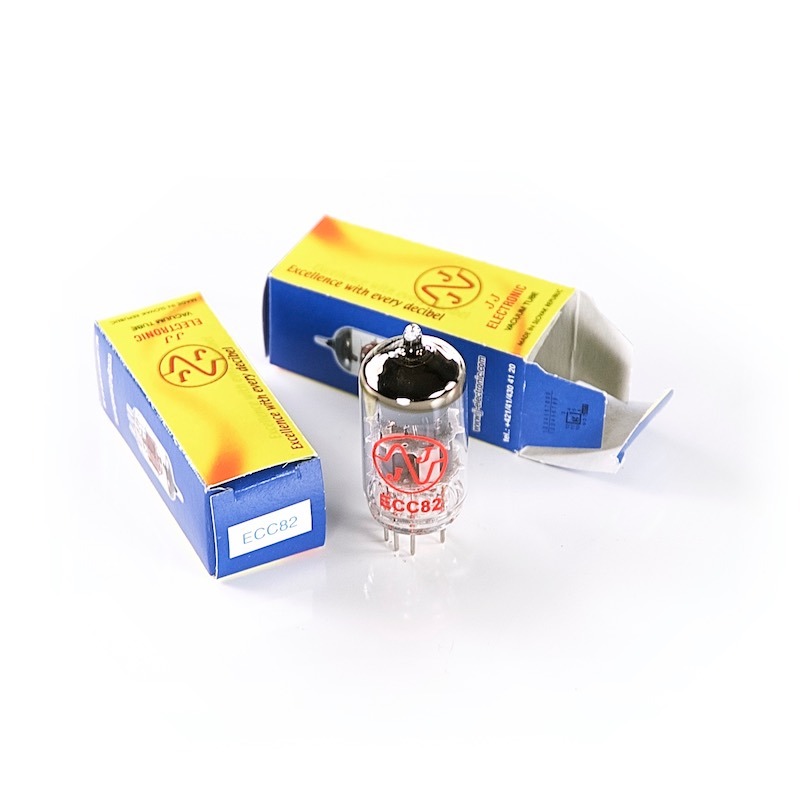 Tubes distort gradually with low-order harmonics, which are perfect musical intervals. The second harmonic is an octave, the third harmonic is a fifth above the octave, the fourth harmonic is a second octave, etc. This is the reason tubes sound so good, and you will notice it. Their subtle distortion provides the natural harmonics lacking in electronic instruments, and restores the dimension and feel of your bass as it was intended to be heard. It makes a huge difference in my sound. I don't play a show without it! It’s really, really, massive. It makes everything huge; it’s really creamy and buttery and the high end is also really nice on it. This is the best piece of gear I have ever owned or plugged into. The tone is amazing. Every cab sounds perfect. Every bass sounds like it should. Every engineer or sound man is blown away. It's just epic. 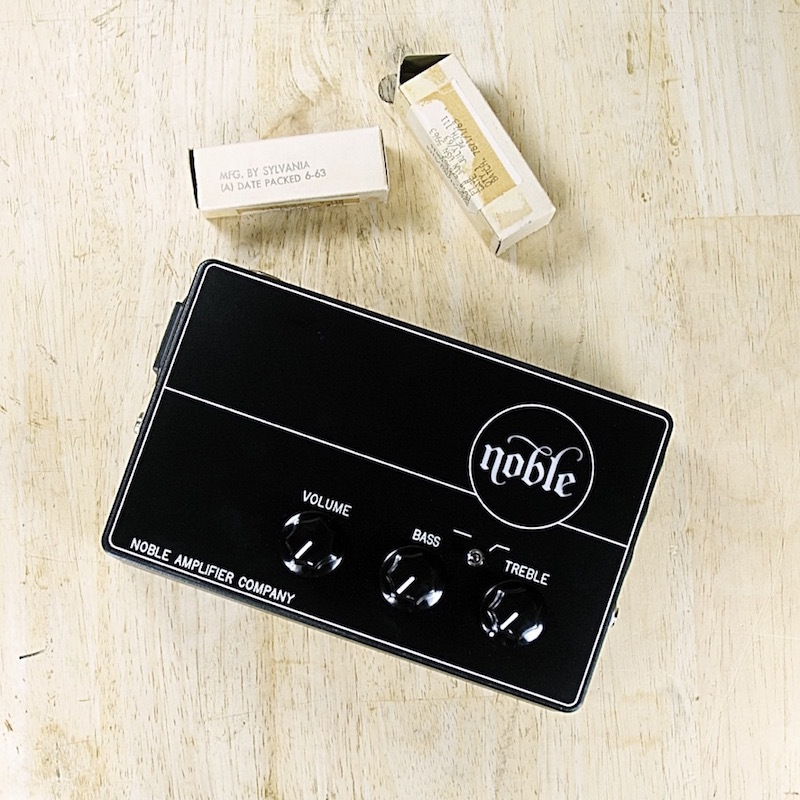 Measuring just 7 1/2” x 5” and weighing less than 3 pounds, the Noble preamp DI will change the way you think about vacuum tube gear. 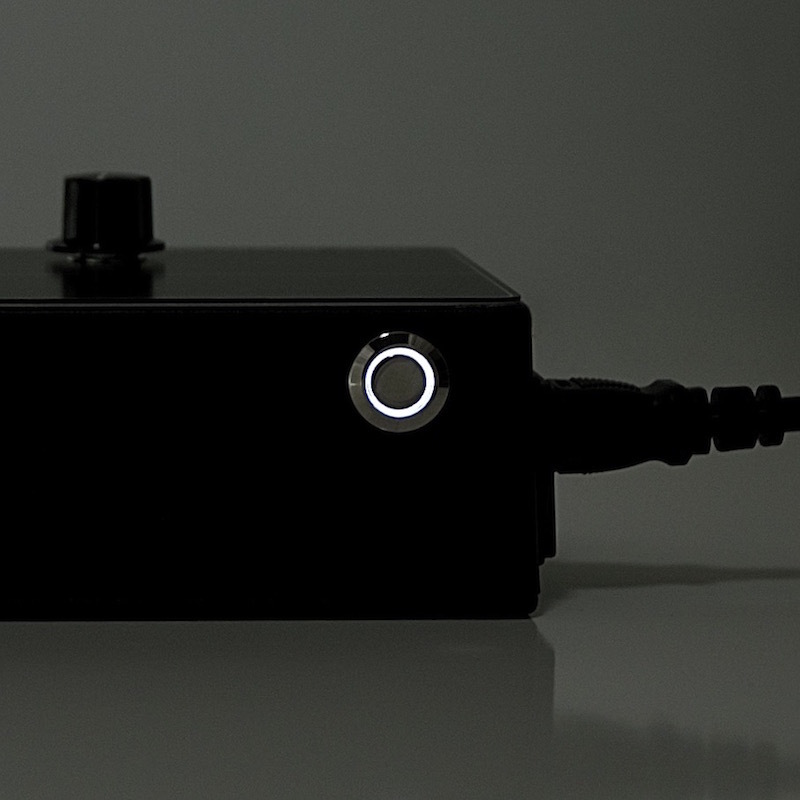 To keep weight to a minimum the preamp is housed in a precision machined aluminum enclosure, which is three times lighter than steel. Aluminum also delivers 30X better electrical shielding, providing a super quiet low noise backdrop for studio recording or pristine live sound. 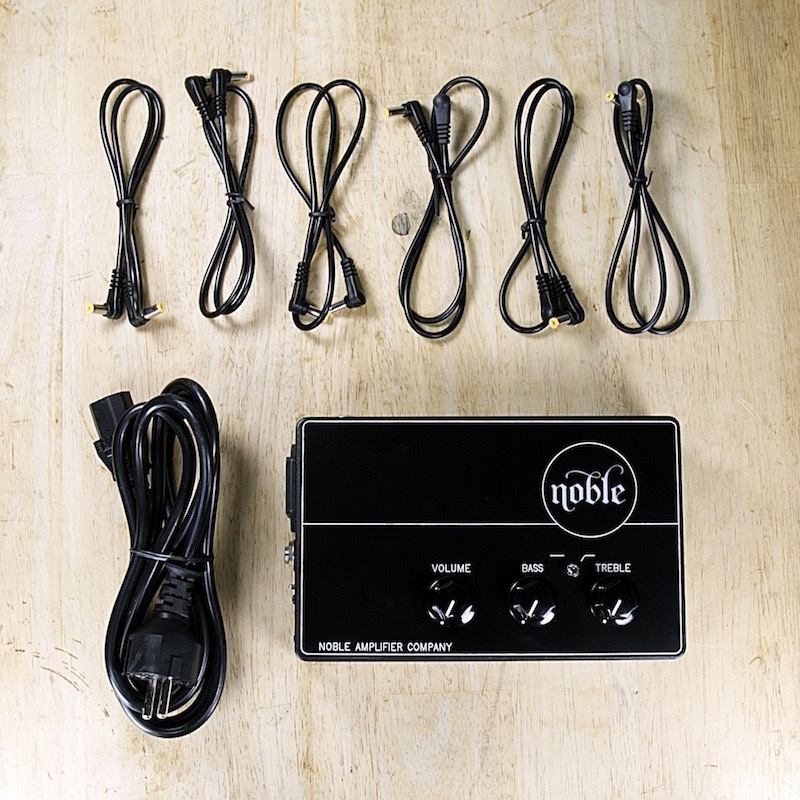 And the Noble preamp DI includes six 2ft (0.6m) DC cables to power your tuner, compressor, octave, fuzz, or other pedals from the onboard filtered and regulated 9VDC supply. Three knobs and the truth. It is so killer. I'm rethinking my entire signal chain. It brings a new level of consistency to the tone and much better articulation throughout the whole frequency range of Mark's bass. Definitely a hit in my book! 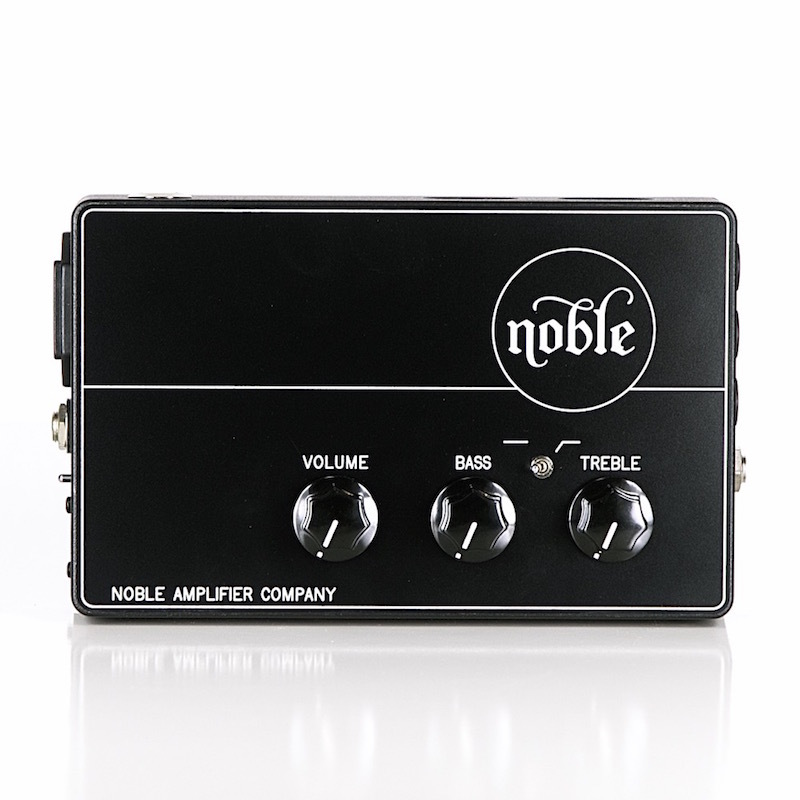 I’m LOVING your Noble Preamp DI! It’s beyond amazing. Seriously, the perfect fly-in solution. It fits on a pedaltrain nano! Total game changer. Take your studio on the road. Get that big console sound wherever you are. A great pair of tubes adds harmonic fatness and musical overtones that digital or solid-state gear just can't emulate. 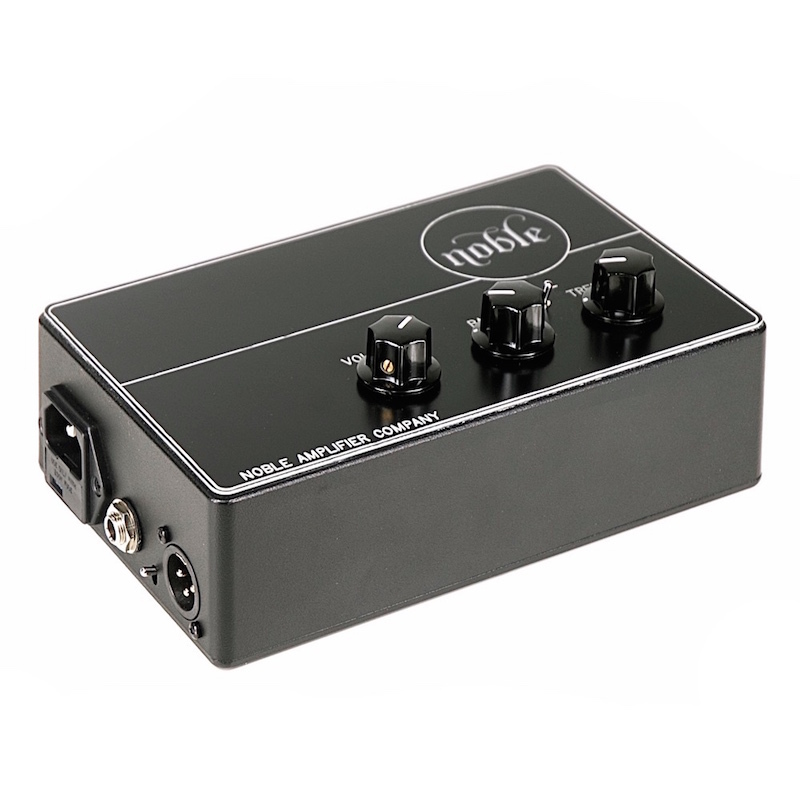 The Noble preamp DI turns your laptop and portable recording interface into a tube-driven channel strip with a super low noise floor and an unbeatable vintage sound. 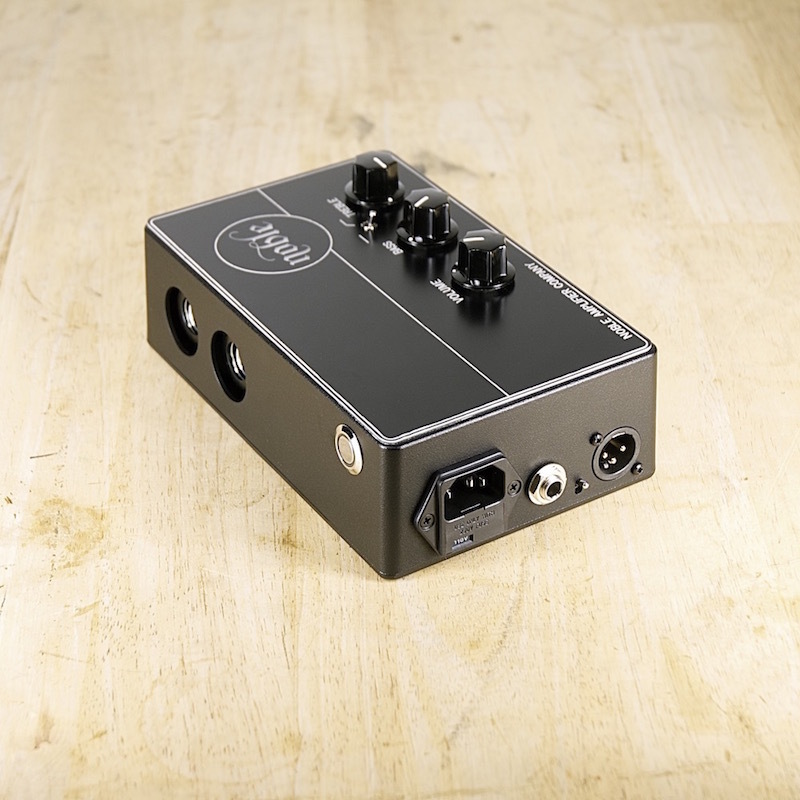 And the ultra high 10MegΩ input impedance won't load down piezo pickups, so it's great on acoustic instruments as well. It's like a B15 in a box! Official DI for Tedeschi Trucks Band studio. We've used it on every track of the new record. Bobby Tis the engineer loves it. This DI is great! I love the variable tone right on the DI. The output is warm with great low mid clarity and all the analog goodness I look for in a direct input device. When you're using in-ear monitors you don't want a regular old DI. 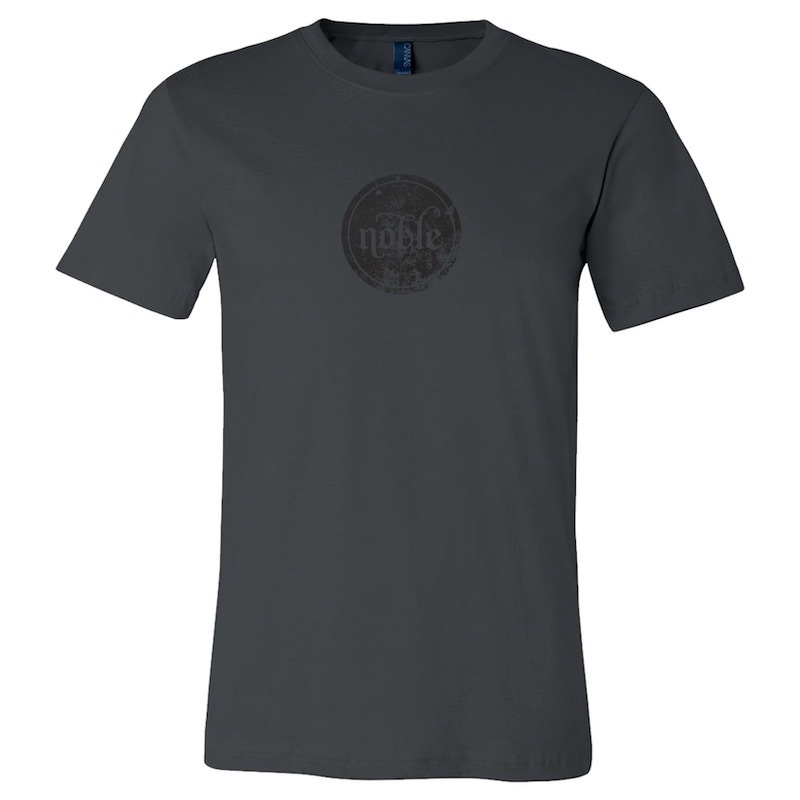 You want one with knobs, but not too many. Our classic 2.5 band EQ was designed by musicians and is loved by engineers for how well it sits in the mix. The intuitive bass and treble controls quickly brighten or fatten your sound for high end clarity or low end thump. The low cut switch rolls off -6dB per octave below 90Hz to add more punch and girth in the low mids and leave room in the mix for the kick drum. And since the EQ affects both 1/4” and XLR outputs, the entire venue gets to hear your bass the way you want it to sound. Best IEM sound I’ve ever had. Unbelievable. Wow. This thing really is as good as everyone says it is. It's the best my bass has ever sounded with in-ears. I can't leave home without it. Seriously the best piece of bass gear I've ever owned. These tracks were recorded live, direct from the soundboard, at the Fillmore in San Francisco CA, March 25-28, 2015. No audio editing or post processing was done. Man, I'm in love. Sounds so good. I might need to get two. Every Noble product is assembled and soldered entirely by hand in California, one at a time. All the major components are also manufactured right here in the US including the Jensen DI transformers, custom-wound toroidal power transformers, the cast and machined aluminum housings, extra thick mil-spec circuit boards, and the laser cut backlit faceplates all come from suppliers with US-based manufacturing. This DI is insanely good. Refined, smooth, simply amazing. 100% yes! My favorite of all the DIs I’ve used. Jack Roan will do you right! With most gear you like it best the first time you plug in, lesser on next use, lesser on the next. 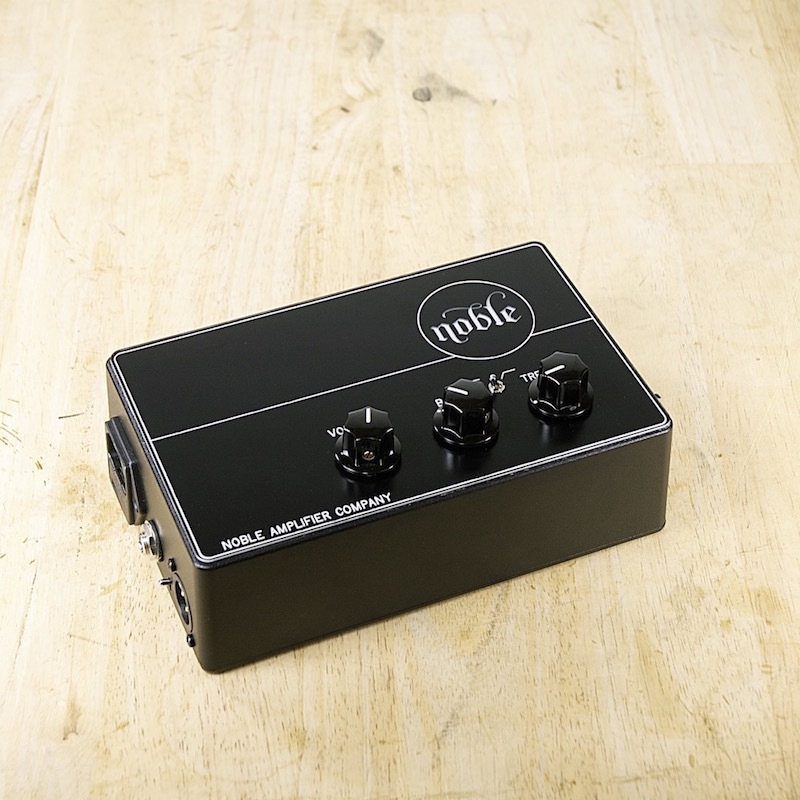 Noble preamp is not the case. I like it better each time I plug in, and it continues to get better the more you get to know the tone capabilities. This is plain incredible! Wherever the music calls you. If you gig a lot of fly-in dates, don't gamble on a “house amp” or lackluster backline. 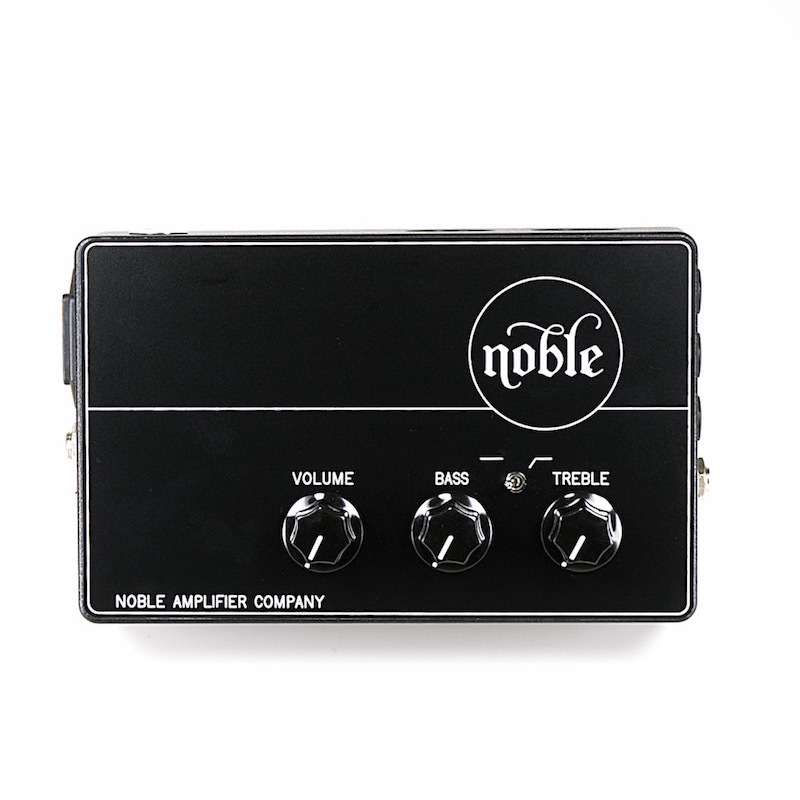 The Noble preamp DI features an international voltage toroidal transformer, so you can easily switch the AC mains voltage in seconds and reliably power up in any country in the world. The tubes are protected inside the cast aluminum housing, venting excess heat through the tube ports. And because it weighs only 3 lbs, it’s super convenient to drop into your gig bag and just take off. Best investment in my sound I have ever made. I will not tour without it. THE best piece of gear I own. 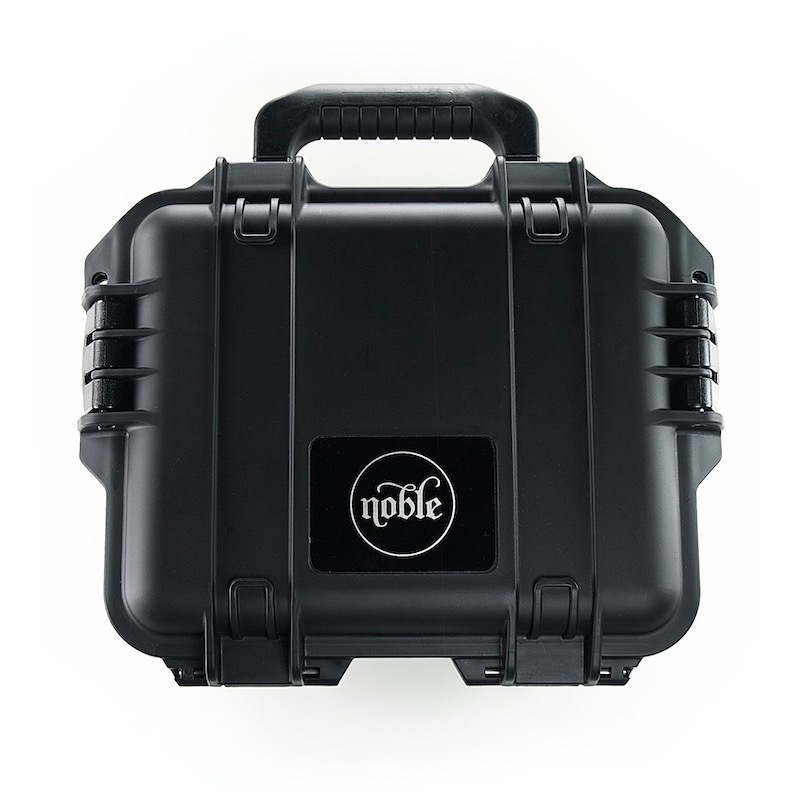 When I get called for gigs I always get asked to bring the Noble with me. The producer told me to leave my B15 at home and that we will be tracking the rest of the record on just my Noble preamp. Q) Can the 1/4” output of the preamp be used to drive a power amp? A) Absolutely! 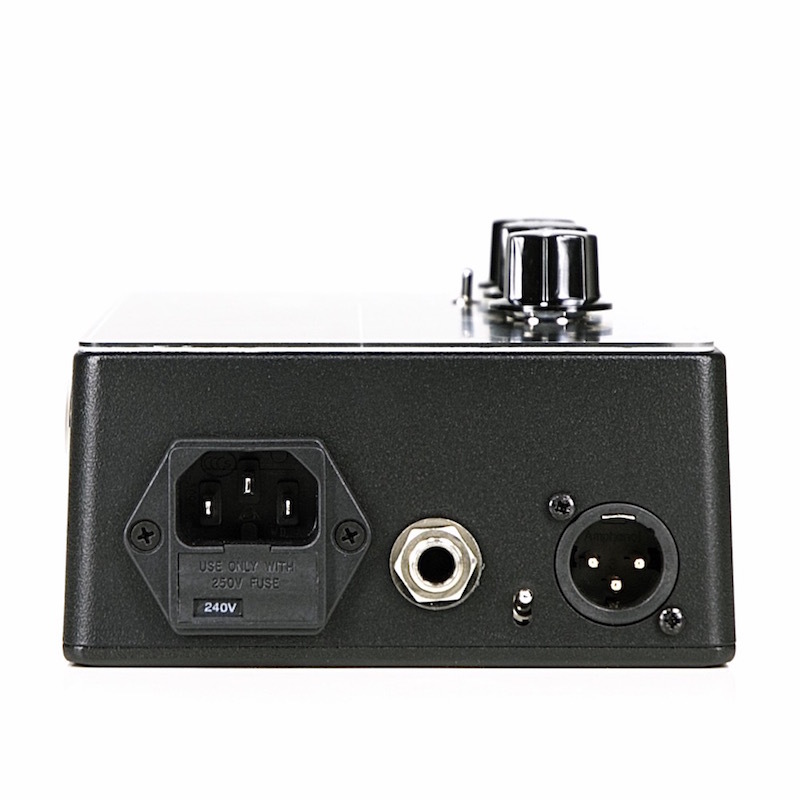 The impedance of the 1/4” output is under 2kΩ, and capable of driving a power amp directly. Unity gain on the 1/4” output is around 11:00 on the volume knob, typical 20dB gain when maxed (with EQ flat). Q) Is the 1/4” output/thru colored? A) Yes! The 1/4” output is post EQ, post preamp gain, and tube buffered. The jack labeled “thru” on a typical direct box is most often a parallel input, not a true output. Q) Can the preamp drive headphones? A) Not directly. 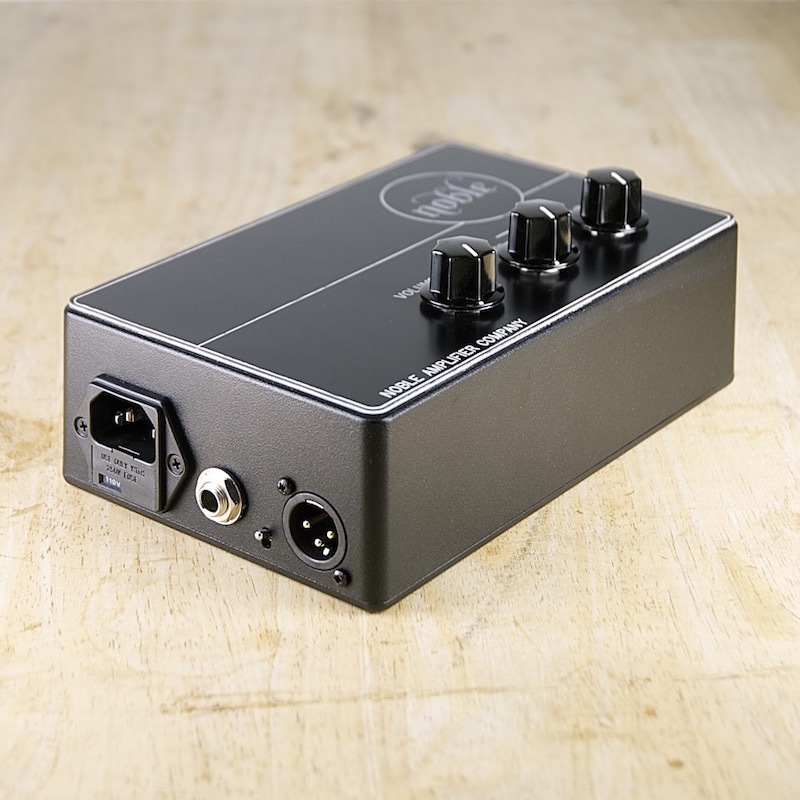 The 1/4” output of the preamp is mono, and is not intended to drive low impedance loads like headphones or ear buds. 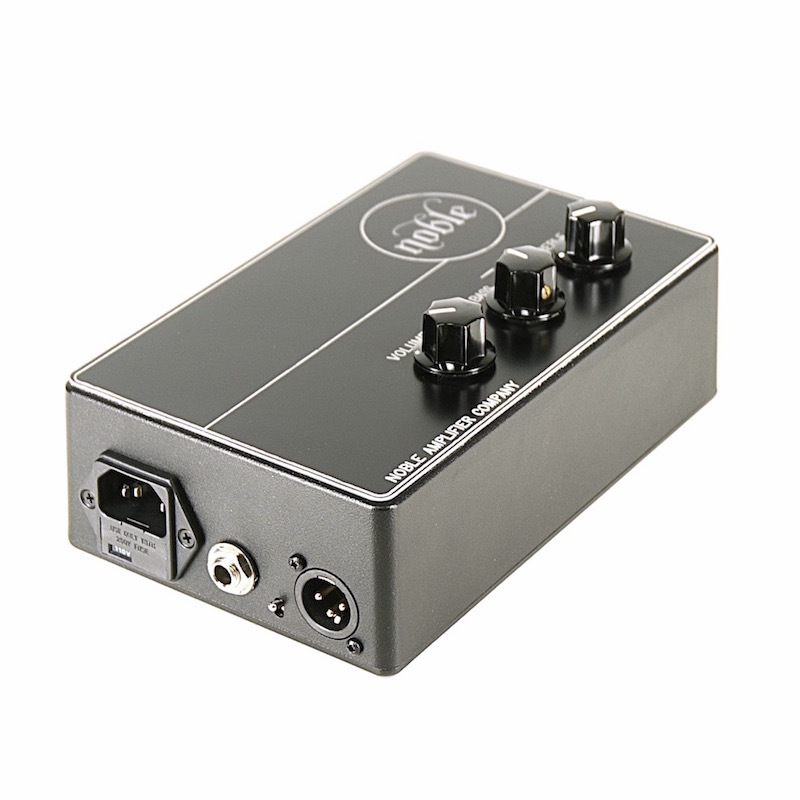 However, you can run the 1/4” output directly into a small headphone amp for practice use. Q) Can I use a Y cable to get 18V from two 9V outputs? 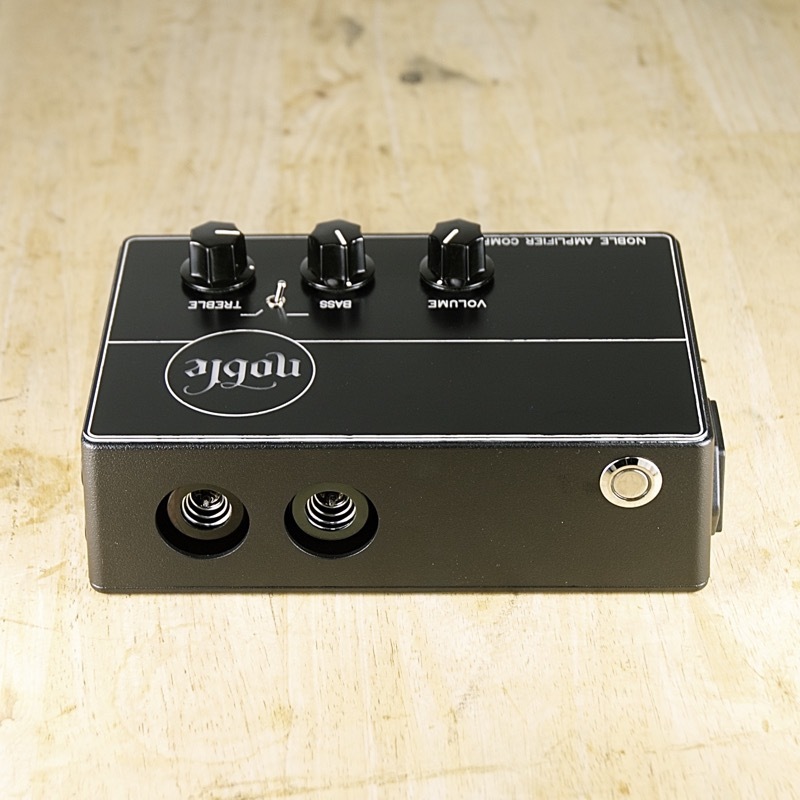 A) No, but you can order an 18V boost cable with your preamp for your pedals that need it (like the Cali76 TX). 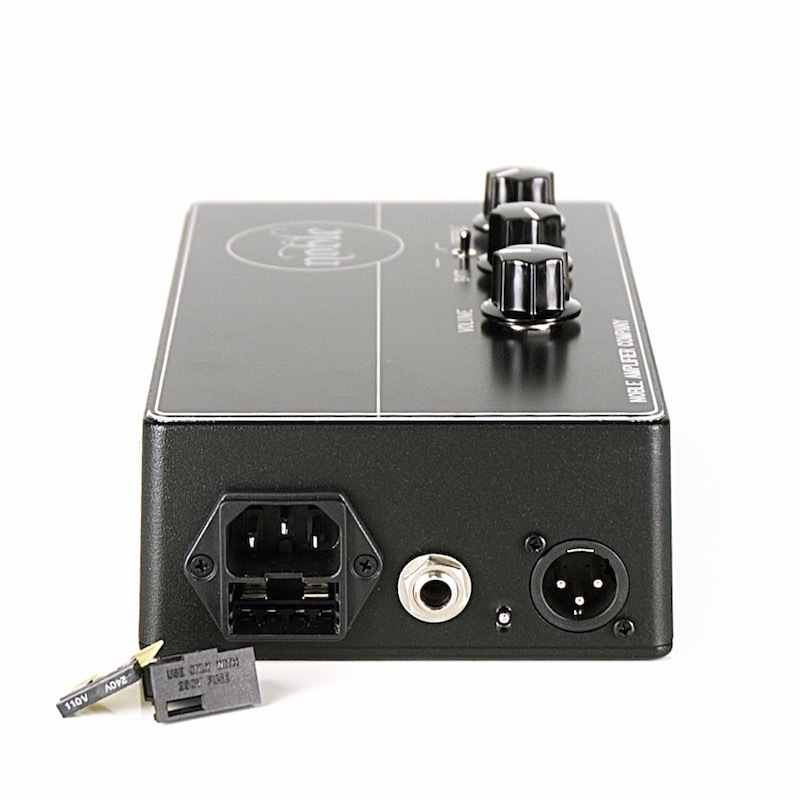 The DC outputs on the preamp share a common ground and are not isolated, allowing all outputs to share the available current, or pull up to the maximum from any one output. Max current varies with the AC wall voltage (see specs at bottom). Q) Is there a volume control for the XLR output? A) No, the XLR level is set internally and cannot be adjusted (or accidentally bumped!). The volume knob only affects the 1/4” output, allowing you to set the level to your stage amp without affecting front of house. 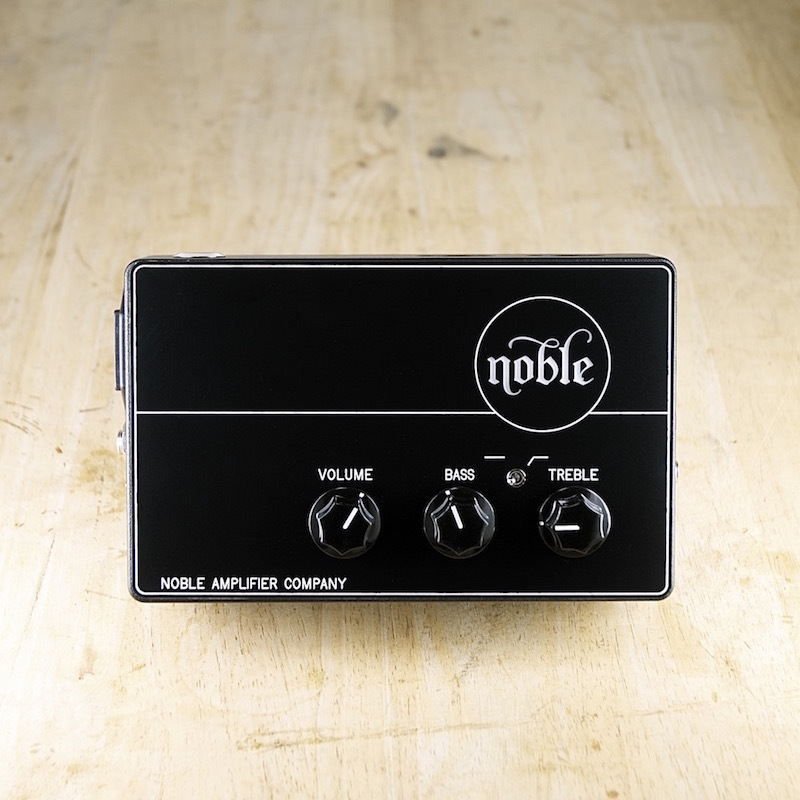 Noble has always followed a “no compromise” design approach, and this preamp DI is no different. The premium audiophile quality components used include a precision machined aluminum enclosure, regulated high voltage +350Vdc power supply, Jensen transformers, illuminated on/off switch, hand selected tube sets, crush-proof knobs and pots, custom designed toroidal transformer, extra thick mil-spec circuit board, laser cut backlit faceplate, ceramic tube sockets with gold plated pins, oversized 2W precision resistors, Carling switches, Wima polyester capacitors, Switchcraft, Neutrik and Lumberg jacks, and stainless steel hardware. Jensen manufactures the finest audio transformers currently available. The frequency response is extremely flat, delivering transparent performance across the audible band with near zero phase distortion. 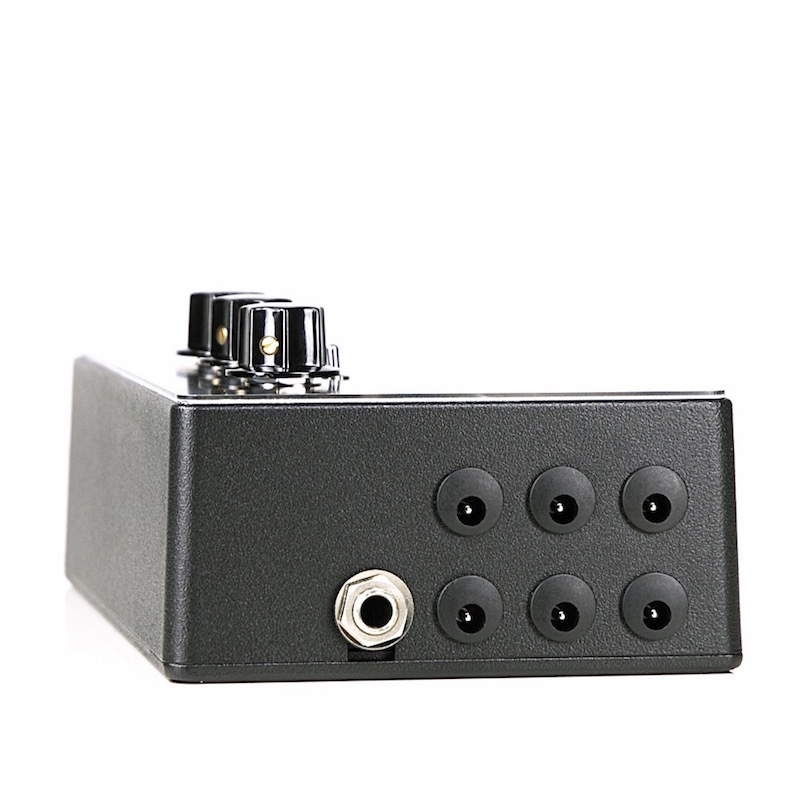 Active DIs can roll off your low end and add unnecessary noise and distortion. In comparison, the passive Jensen transformer is cleaner, with less noise and noticeably better dynamic response, keeping your signal crisp and full. I'm using the Noble on EVERYTHING!! It's a part of my sound now. This DI is magical. Best DI in the world, anyone? 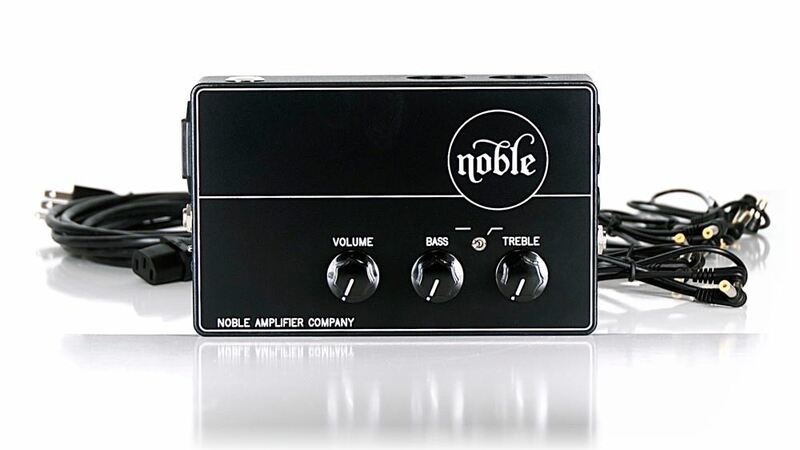 The Noble preamp is still the best piece of gear I've purchased! Many people are asking if it's better than other DI boxes. Which I always tell them it is. Because that is exactly the case. Dimensions: 7 1/2” x 5” x 3"
Includes six 2ft. 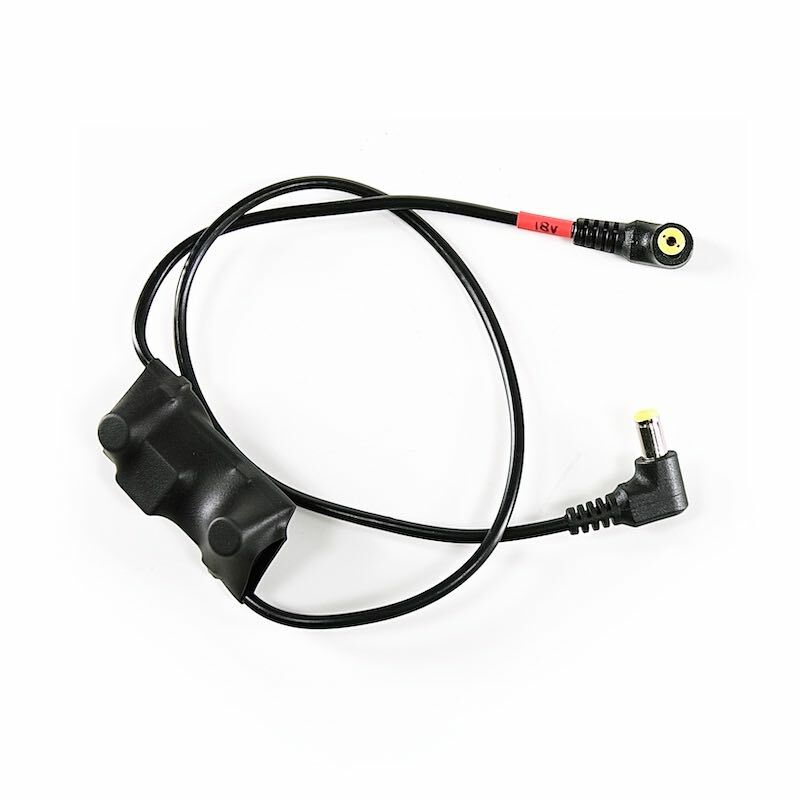 (0.6m) male-male DC cables and IEC power cable. 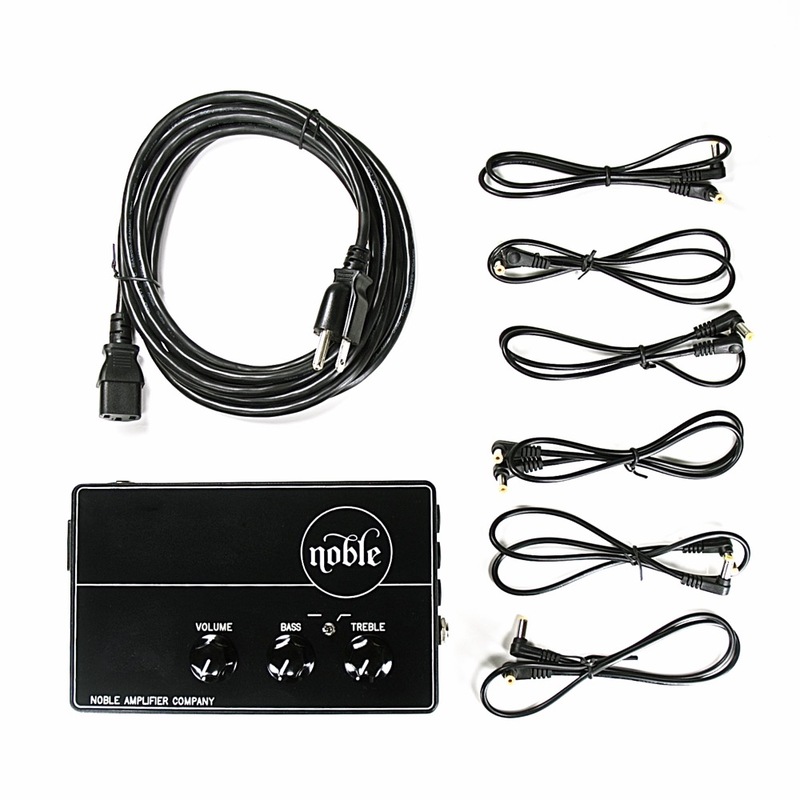 See nobleamps.com/extras for photos and details of optional extras. All orders are built individually by hand. If you are on a tight schedule please select Rush Order and your preamp will be built and shipped in less than two weeks. Otherwise the standard build time is roughly 11-12 weeks from order to shipping. 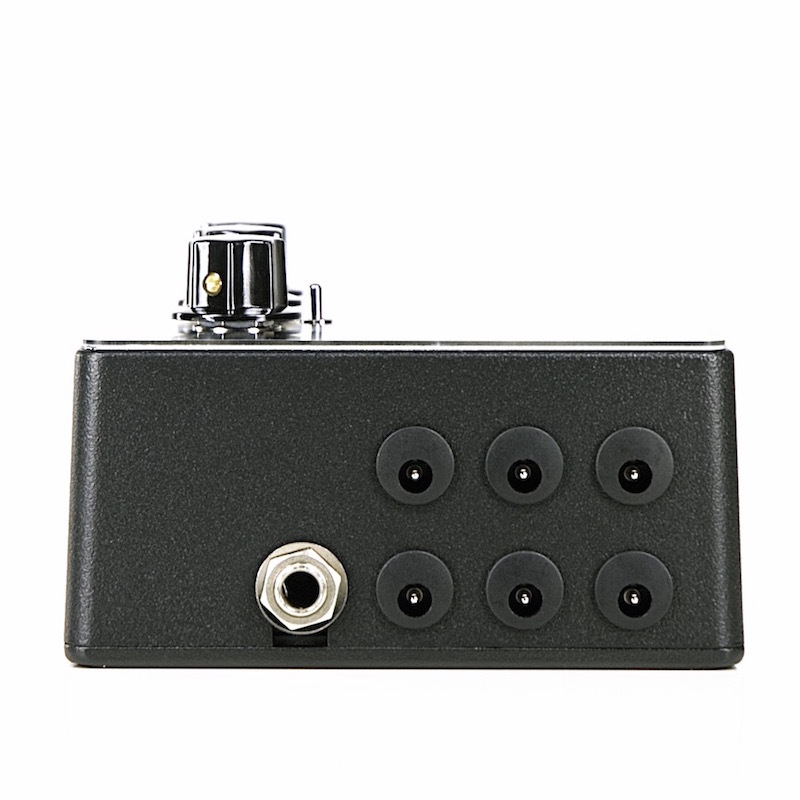 You will receive a tracking number when your preamp is ready to ship. US shipping is through USPS priority mail (signature required on delivery) and typically arrives in 2-3 days. International shipping usually takes 7-10 business days, but can be longer in some countries due to delays in customs.